Holy Children Academy is an Educational Institution. 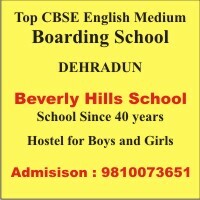 it run by Holy Children Educational society which is registered under the society Registration Act. Holy Children Academy established by the efforts of Mr. S.C. Pant in year 1994 inaugurated by late Mr. Balbeer Prashad Dube. Who was block development officer at that time. The school started teaching sixty 60 students with the efforts of present management and administrative staff it is developing day by day. Holy Children Academy is recognized by the Govt. of Uttarakhand in English medium. Holy Children Academy provides quality education with discipline deviation and dedication. It gives such as atmosphere good manner concentration, self confidence, and discipline good habits. Students learns a wide range of co-curricular activities i.e.- quiz debates, drawing painting arts and sports.